Chelsea 2016/17 Season: what can we expect? The new season is upon us, we’ve got a new manager (yet again) and a couple of new players but what’s really changed? According to my Twitter feed, not very much. United and City pat themselves on the back every tweet for their spending prowess and every headline (predictably) has Mourinho as the messiah. Not last season’s Mourinho who sat by and watched, seemingly helpless to stop the slide of Champions, unable to motivate, cajole or even kick arse, as everyone to a man morphed into Sunday league sloths (minus the beer stained kit and half-time fag). This new Mourinho they speak of is relaxed and happy, “always joking in training” whilst working on his master plan to conquer the Premier League. The Chelsea Mourinho left behind last season were held together by boot laces and a couple of shin pads. An absolute shadow of the side he’d pushed to their limits to win the title. He’d somehow made the proverbial silk purse out of a sow’s ear in his title winning season and there’s no doubt reinforcements were required. Yet very little happened over the summer. It felt as if more went out than came in and even more bizarrely, the gap between our first preseason game and the start of the Premier League last season was just 17 days. 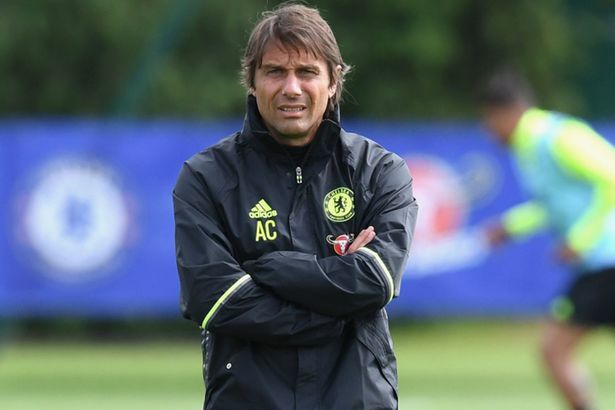 New boss, Antonio Conte, has had a bit over five weeks to get a look at what he’s inherited. Slightly less jovial about the physical and tactical requirements of a training session, after a look at the schedule set out, he threw in an extra pre-season game. His less relaxed approach is also rumoured to have seen him ban some of the crap our players had shovelled down their necks in the canteen. Basics really. Maybe less basic but probably more important was one of the first decisions Conte made at Chelsea on the immediate future of John Terry. In the wake of Mourinho’s departure last season, the Chelsea captain announced the club would not be renewing his contract at the end of the season. Obviously a smart move by John and rightly so, he fully deserved the wave of support that came after that latest bombshell. As with all things Chelsea though, the saga dragged on, feelings festered and we were told to wait to see whether he figured in the plans of the next manager. Fortunately, Antonio Conte is astute enough to have figured out John Terry has given more to Chelsea FC than any other player in our history. He’s also smart enough to appreciate Terry understands the working of the club, the dressing room and the support. Quite apart from all that, whilst no-one expects him to make a major contribution on the pitch, John Terry staying represents some kind of stability – something that was clearly lacking amidst last season’s uncertainty. So the captain stays and alongside him, Hazard, Matic (maybe), Costa (possibly), in fact most of the squad who dragged themselves through the worst season we’ve seen for years. No wonder Twitter is getting restless. Whilst we’ve added Michy Batshuayi and Kante, we’re hardly hitting the dizzy heights of the sort of ego £90m can buy you these days. What gives? Well realistically, we don’t have the same sort of pull we’ve had in the past. Roman’s a lot less free and easy with money, understandable given the financial competition now. As for any other incentives, offering Bristol as a venue to kick off a hunt for silverware probably doesn’t hold quite the same appeal as the Bernabeu. For now it looks as if we might have to make do and mend – and mend we will. After all, could we really get any worse than we did last season? Of course we could but I doubt we will, Antonio Conte doesn’t strike me as the sort of manager who’d sit by, seemingly helpless in defeat. He also doesn’t strike me as a manager who believes money is motivation enough and Twitter tantrums aside, that’s no bad thing. Compare us and City, we’ve both had money and both spent it in bucket loads at different times. The difference is, we’ve seen a substantial return on our investments, yet City are still to really justify the amount they’ve shelled out. So it’s not what you spend, it’s how you spend it. Antonio Conte’s take on current transfer fees is that they’re ‘crazy’, so anyone hoping for a late spree better prepare themselves for disappointment. My guess is that, for his first season at least, like the pretty average Italy side he took through the Euros, Conte will make the best of what he has – and earn plenty of respect while he’s about it. He won’t be courting the press, he won’t be taking the headlines or trying to wind up the opposition but he will be working hard, working his players hard and getting on with the job he’s paid to do.